If there are reasons for families like us who live in the East of Singapore travelling all the way to the West, it would be the kid-friendly attractions like Science Centre. We've brought K and G there numerous times but we can't let an opportunity for G to learn about Marine Conservation pass. 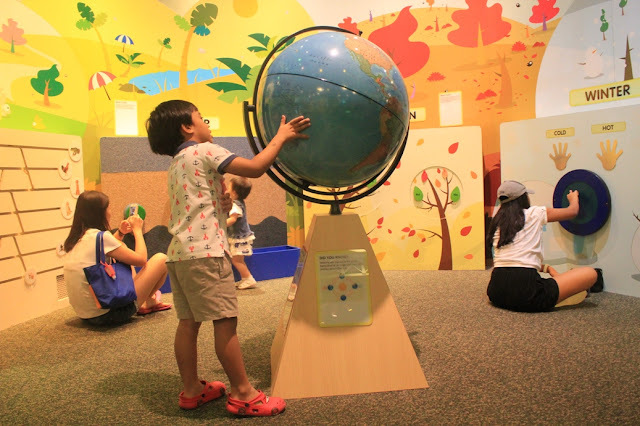 We made an effort to wake up early on a Sunday morning just to see the Oceans' Buddies Exhibit at KidsSTOP which is housed within the Omni-Theatre building at Science Centre Singapore. KidsSTOP™ aims to engage pre-schoolers like G and lower primary school children on the need to protect and preserve ecosystems. 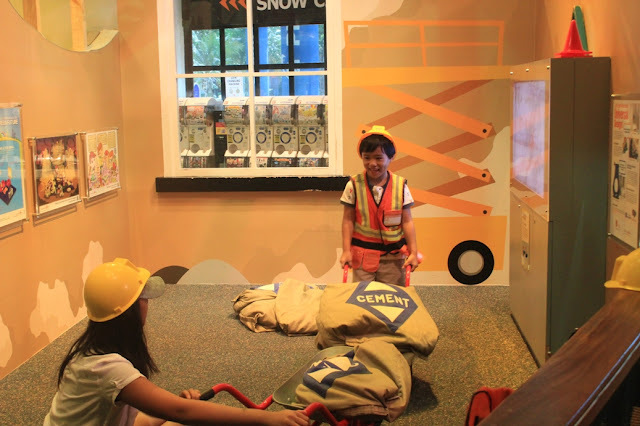 Reinforcing the significance of recycling, reducing and re-using from an early age will also help their thinking and actions for the future. 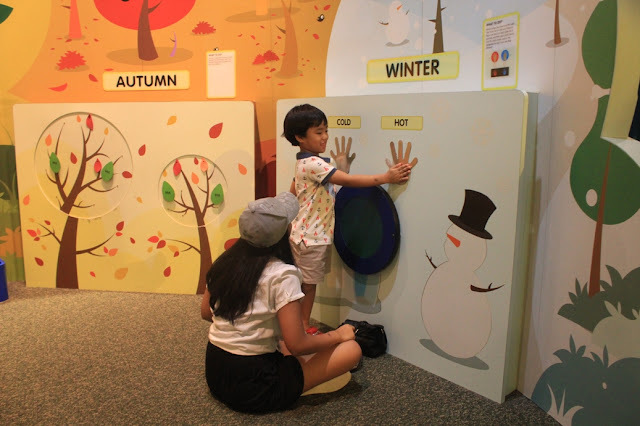 You should know by now that G is a certified water-loving boy, hence our frequent trips to the beach here in Singapore and our conscious effort to spend beach vacations overseas to expose the children to the sea creature's natural habitat. 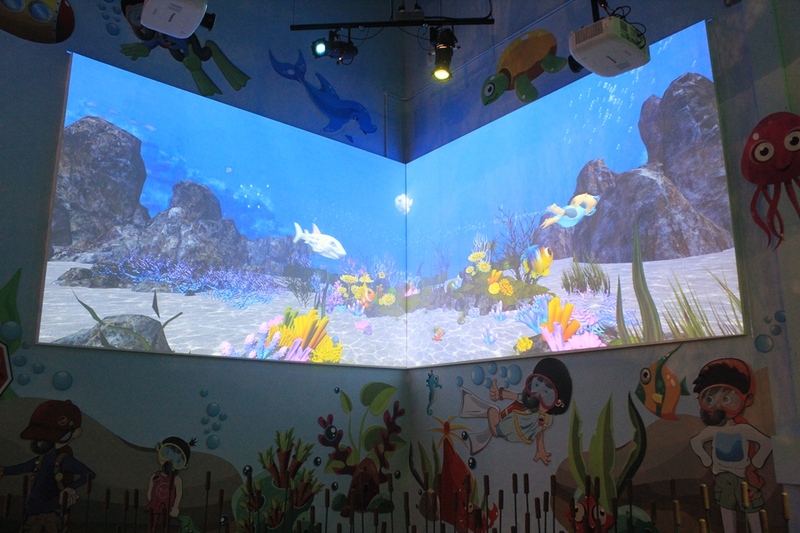 At a young age, G have witnessed with his own naked eyes a pool of colourful fish swimming in their natural home. During our weekend getaway to a nearby island, he also saw and examined a sea cucumber up close. I am no longer surprised that one of his favourite songs is Save My World. Teaching the children how to take care of the marine ecosystem plays a significant role in educating them to care about Mother Earth in general. 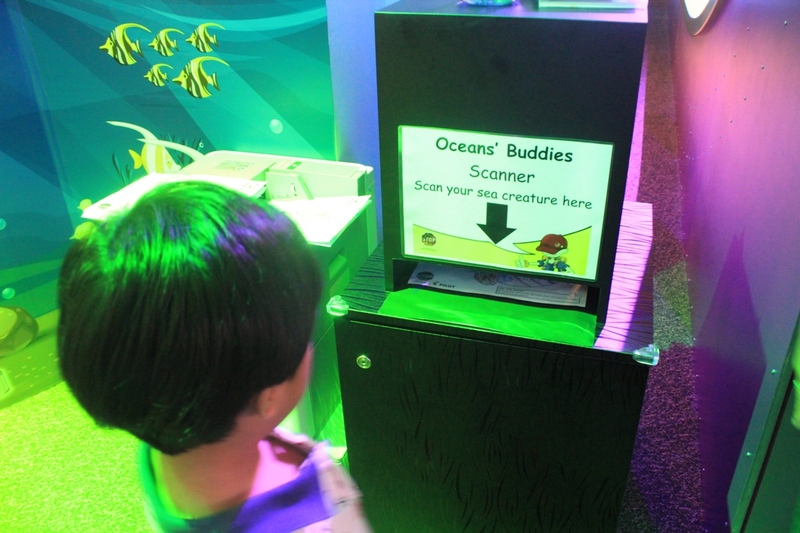 Oceans' Buddies Exhibit aims to encourage children to be a friend of the oceans. 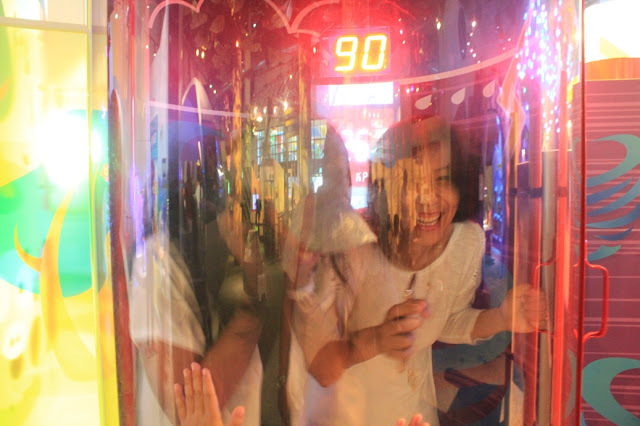 As children generally protect their friends, in a very simplistic way, they will also protect the oceans if they treat the oceans as their friends. Children can easily understand such a concept because it is typical social norm at their age. 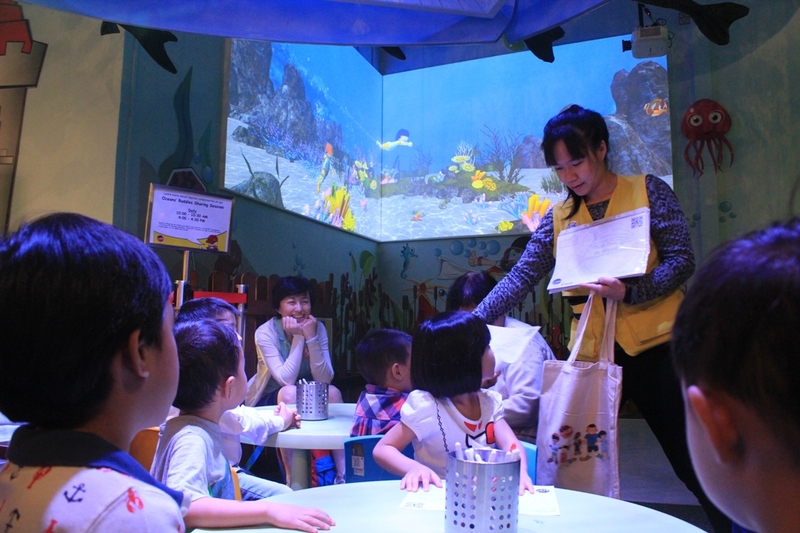 To get the kids' interest in learning about marine conservation, KidsSTOP™ thought of putting up a giant wall projection of virtual ocean. 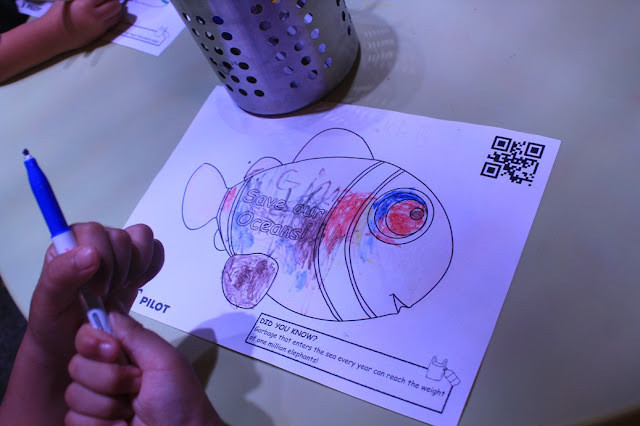 The children are encouraged to draw their own sea creature, scan it and let them see it come to life in the virtual ocean. 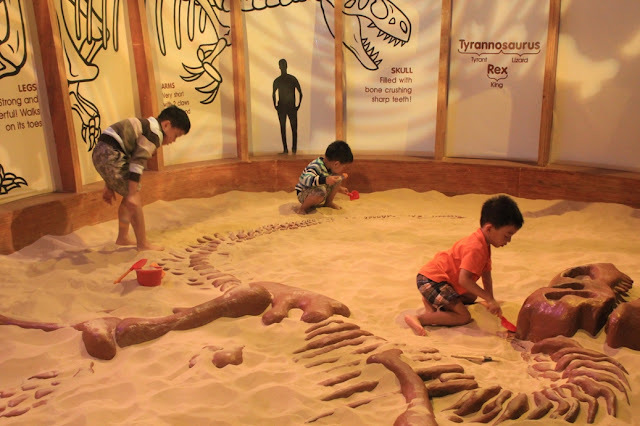 Preservation of vulnerable marine species/ecosystems. 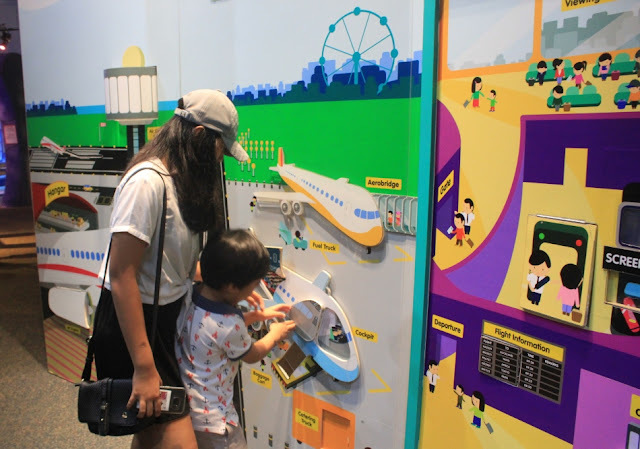 Complementing the new exhibit is a new mural curated around the theme of conservation and illustrates how a polluted sea traps suffocates marine life. 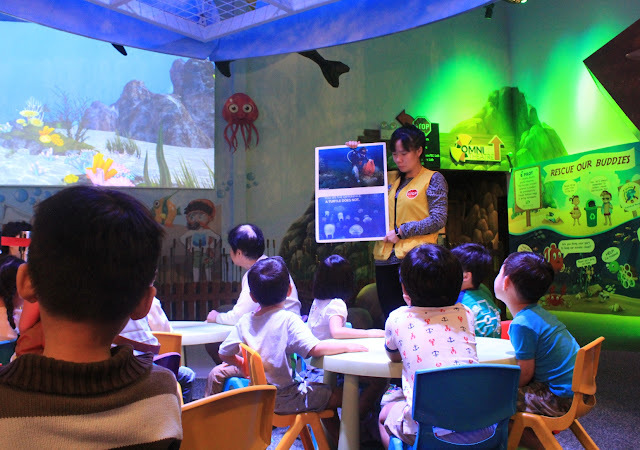 It aims to educate children that as harmless as littering may seem, the collective damage can cause serious harm to marine life. For the public, experiencing Oceans' Buddies exhibit is part of the KidsSTOP™ admission fee. 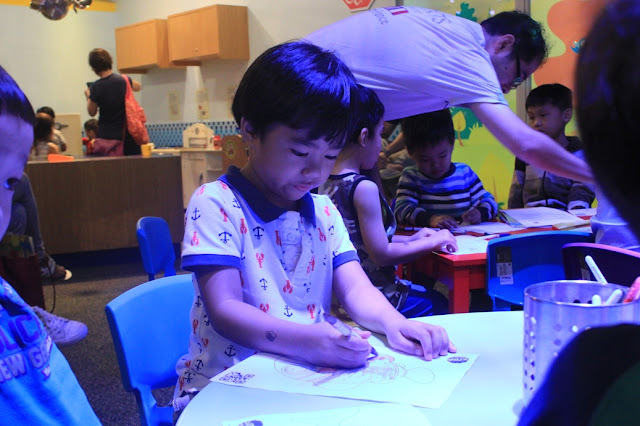 Kids of Singaporeans and Permanent Residents aged 18 months to 8 years enjoy a $5 entrance fee on weekdays (Mon-Fri) and $10 on weekends, public holidays and school holidays. Accompanying adult pay $2 on weekdays and $5 on weekends, public holidays and school holidays. 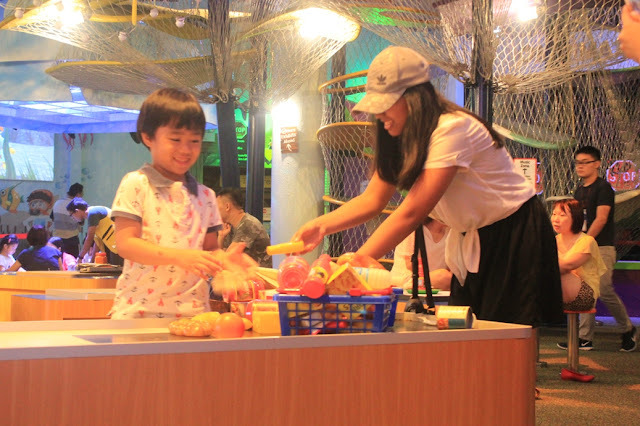 Kids of other Local Residents and Overseas Visitors aged 18 months to 8 years enjoy a $20 entrance fee on weekdays (Mon-Fri) and $23 on weekends, public holidays and school holidays. Accompanying adult pay $10 on weekdays and $13 on weekends, public holidays and school holidays. KidsSTOP™ hopes to spark children's interest in Science, Technology, Engineering and Mathematics. 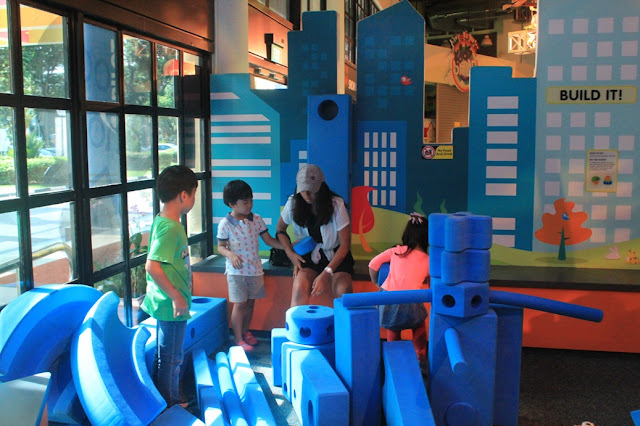 Focusing on enriching children aged 18 months to 8 years through purposeful play in a safe and guided environment, their innate skills of Inquiry, Investigation and Innovation will be enhanced, giving them the Power to Create. The exhibits and galleries that include a kitchen and a supermarket among many others are designed to promote and foster parent-child bonding through interactive activities and programmes. 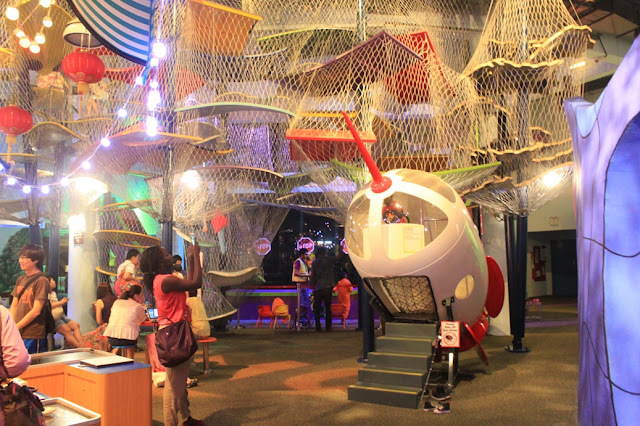 Imagine, Experience, Discover and Dream are the four themes within KidsSTOP™. 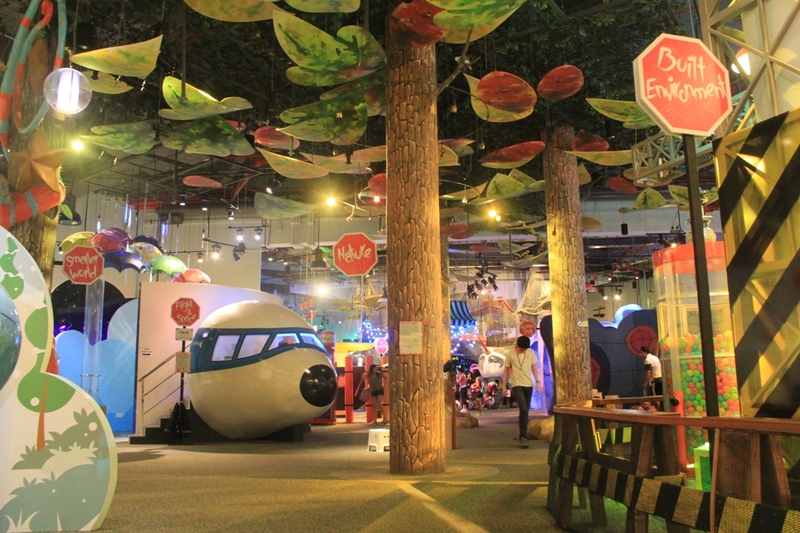 For complete information, visit www.kidsstop.edu.sg.